Age of students: 3 - 11, all of whom use the ICT suite on at least a weekly basis. St John's is a small primary school in Benwell, Newcastle. We are based in an area which does not have a lot of money, many of our children qualify for free school meals. The Lower Super Output area ranks as 110 most deprived in England making it in the top 0.3% for deprivation. We aim to give children the skills for life and a wealth of memorable experiences. The way we deliver our curriculum is a bit different - we use an approach called Mantle of the Expert to bring learning to life, putting drama and imaginative inquiry at the core of what we do. Our children tell us that learning here is fun, that behaviour is good and that they feel safe. Everyone who visits our school comments on the positive atmosphere: the polite, friendly and smiling children and the welcoming and engaging staff. Our children make better than expected progress but we have fun and enjoy what we do. We passionately believe that primary school should be the best years of your life - we want it to be so for all of our children. 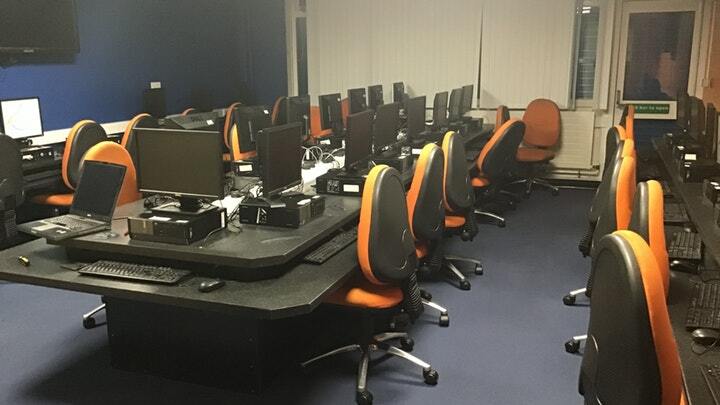 We have a dedicated ICT suite in school which has led a long and well-used lift. Unfortunately many of the machines are now coming to the end of their working life which can be frustrating for children and staff alike. We really need to replace some of the tired and worn out computers we have in school. We would like to start by buying 4 new PCs to replace machines which are completely broken. These PCs will be for our whole school to use across a range of subjects. The children use the ICT suite from breakfast club right through to after school clubs. It is used across the school day: to test themselves in Times Tables RockStars; to read quietly in Bug Club; to pull together their movies from Mantle subjects and learn how to code in their ICT lessons. Broken computers make all of the above incredibly frustrating as you can see in our video. Your kind donations will be spent on buying 4 new PCs, we already have the monitors, keyboards and mice. The licences will transfer from the existing hardware. We will be incredibly grateful for any donations you could manage. If you're not able to help with a donation at this time then please do let other people know what we're trying to achieve at St John's. Share this project with anyone you think would support us. Share the link at the top of the page on Twitter, Facebook, email, your website, blog, mention us to your friends. Please support us and make a difference to our children. A general thank you message from the whole school. A personalised thank you from the pupils of St John's. A personalised thank you message on the school website and social media.